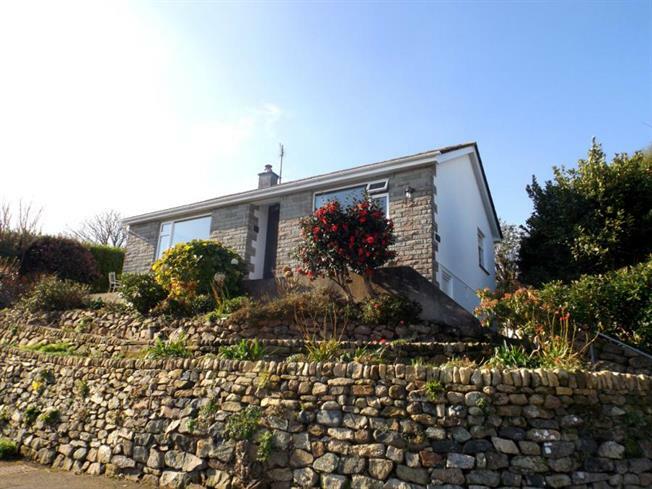 2 Bedroom Detached Bungalow For Sale in Penzance for £350,000. An extremely well presented, detached, two double bedroom bungalow that has undergone a schedule of sympathetic modernisation since being acquired by the current Vendors. Located within an elevated and peaceful cul-de-sac to the periphery of the quaint and popular fishing village of Mousehole this lovely home enjoys coastal views to Mounts Bay across to Lizard Point. Further benefits include uPVC double glazing, detached garage with further parking along with surrounding gardens. The home is warmed via an LPG combination boiler with accommodation in brief comprising a light and airy lounge which enjoys the coastal views, kitchen/dining room, utility room, shower room and the two double bedrooms. It should also be noted that there is a very useful storage area under the property. An early inspection of this lovely property is highly recommended to fully appreciate.